The new monthly Snee-Nee-Chum newsletter is now available! You can view it by clicking on the newsletters tab at the top of this page, or by clicking here. The 2015 NIT Annual Report is Here! A hard copy will be mailed out to each household. Keep a lookout in your mailbox! Youth Department 2018-2019 Application Now Available! If your Nooksack family is interested in having your youth (aged five to twelve) attend our Youth Department’s Summer and After-School Program, complete the2018-2019 Youth Department Application. Just download, print, fill the application out, and turn it in to either Timber Ridge, 5604 Mission Road, or at our Tribe’s Administration Building, 5016 Deming Road. 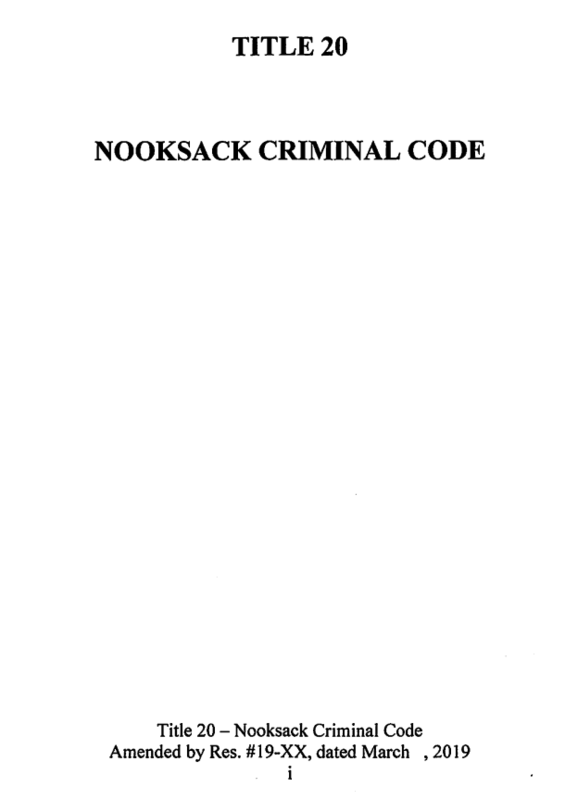 You can also scan and e-mail completed forms to jmissing@nooksack-nsn.gov. For more information, call the Youth Department at (360) 966-9696. Hours of operation: Monday through Sunday, 8:30 a.m. to 5 p.m.
Any Tribal Member who is interested in reserving the Community Building at 2515 Sulwhanon Dr. must first complete this Rental Application. 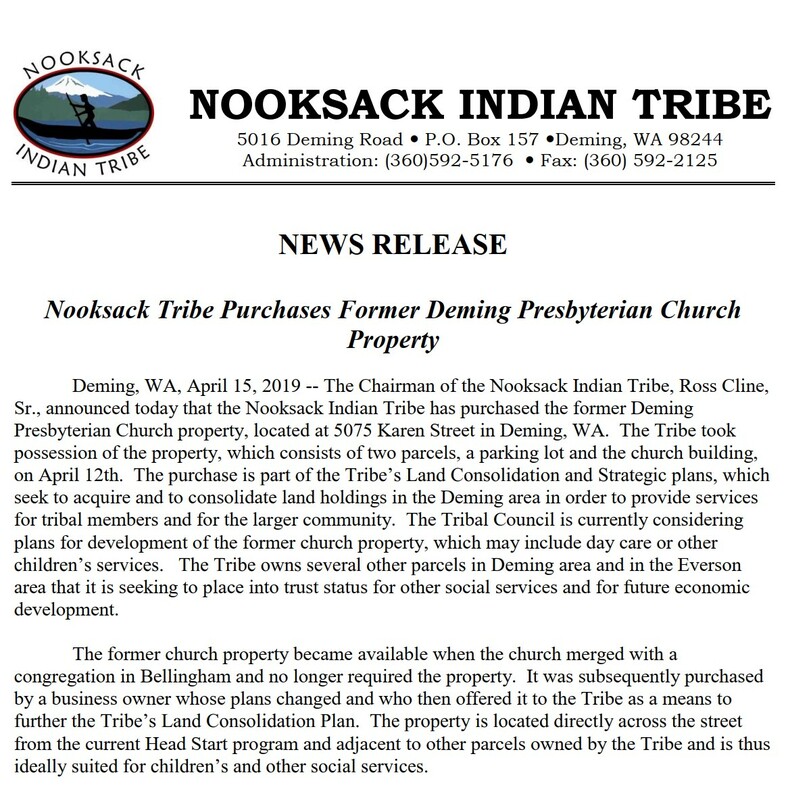 This form can be printed, completed, scanned and dropped off at or mailed to the Tribe’s Administration Building, 5016 Deming Road, Deming, WA 98244. By Completing and submitting the rental application, you are agreeing to the building’s Use Policies and Procedures. Completing and turning in this agreement will ensure proper processing, prioritization and service delivery for each event. The day of the Event, you will be given the Day of Event Form, as well as the Inspection list form – pre-event and post-event, for Pre- and Post-Event Walk-Through. In order to receive a full deposit refund, The Cleaning Checklist will help determine the responsibilities of the renter when cleaning the building Post-Event. A Reservation Checklist is available for your convenience, and as always, the Tribe thanks you for using the Community Building responsibly! On April 18, 2016, Tribal Council adopted Title 54 – Business License Ordinance, amended in full. 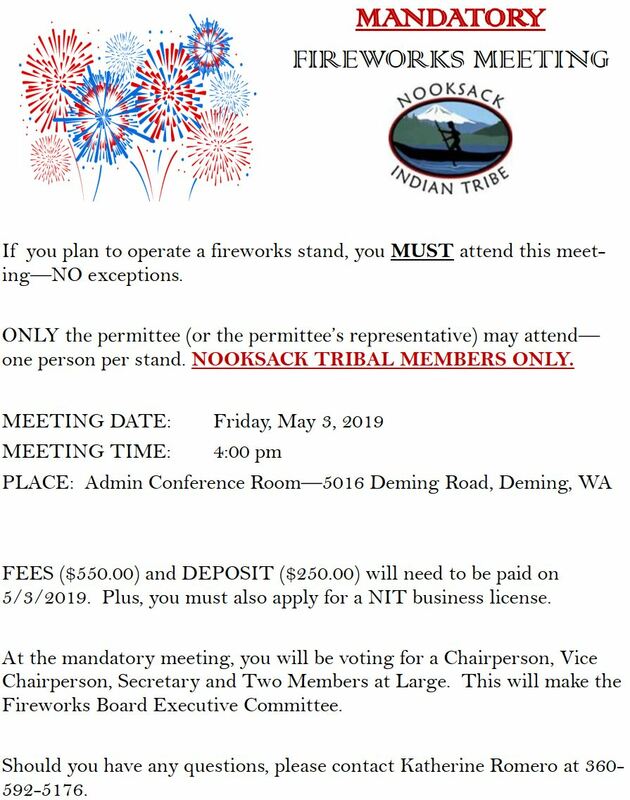 Title 54 requires that all persons engaging in business (sale of goods or services) on Nooksack Tribal lands to possess a valid business license issued by the Tribe. Various exemptions exist and can be found in section 54.02.060. Error: Error validating access token: Session has expired on Sunday, 23-Dec-18 09:16:00 PST. 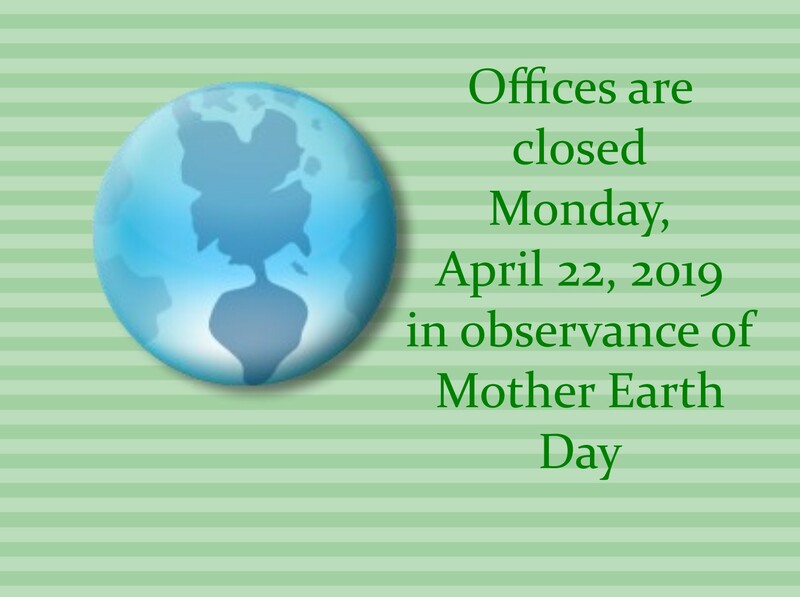 The current time is Monday, 22-Apr-19 19:14:57 PDT. Your Tribe is now on Facebook! 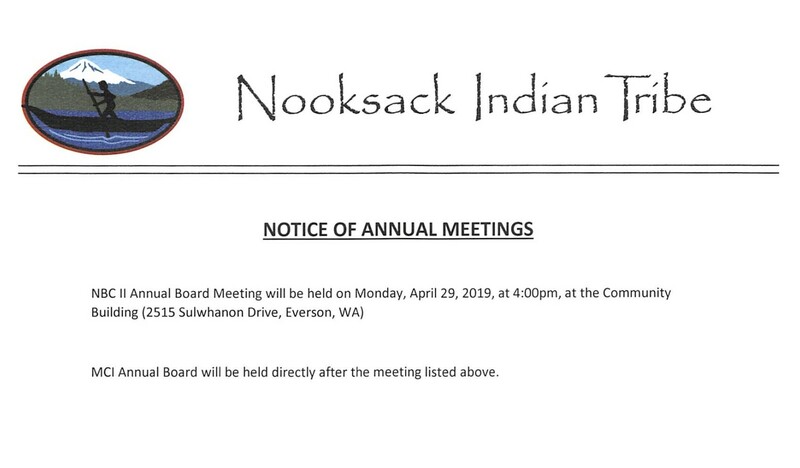 Like us at the Nooksack Indian Tribe Communications Page.